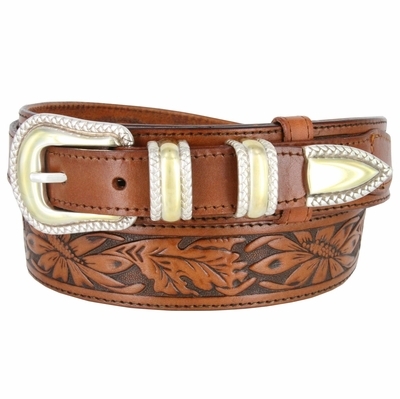 Floral Tooled full Grain Tapered Ranger Belt. 1 1/2" to 1" Tapered Genuine Leather. Silver and Gold Plated 4 piece Rope Edge Buckle set and Leather Loops.